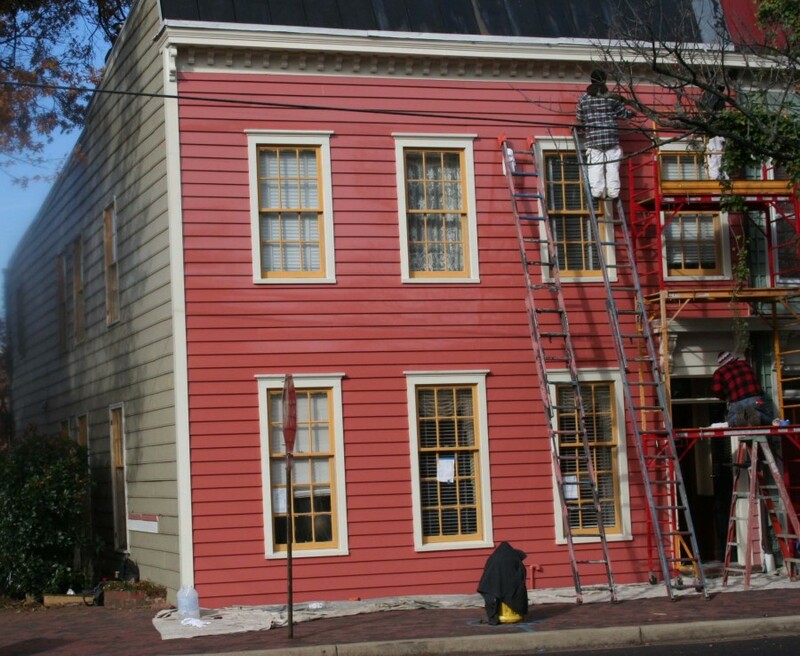 ← Historic Building Conservators, the Conservative Option. 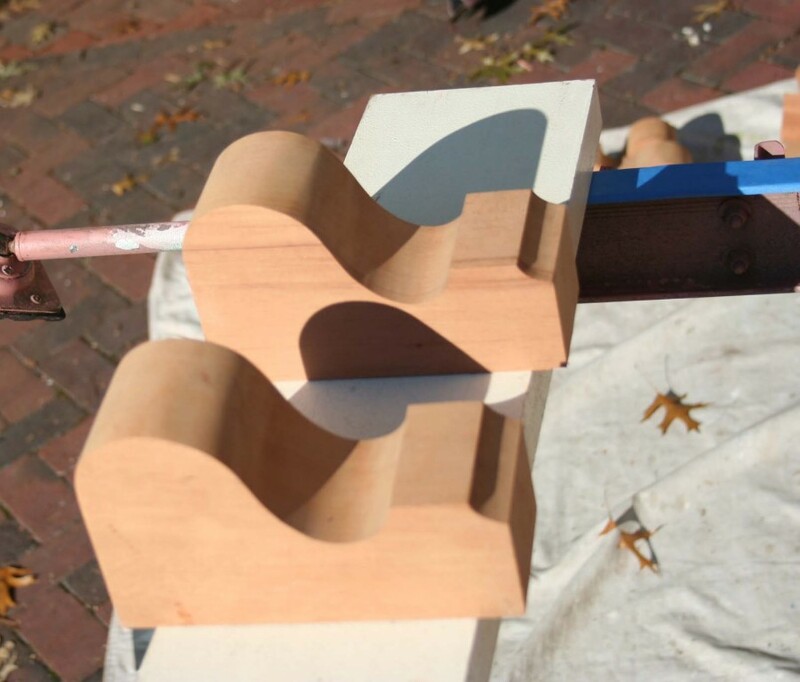 Period dentils, reproduced in cedar. Certain neighborhoods look and feel a certain way, and that is because of many things: Layout, traffic, usage, era, etc., etc. but one very quantifiable and specific determining variable is the profile and scale of the typical molding details and millwork profiles adopted in the various periods in which the buildings were constructed. To those who really know the neighborhood, these unique dentils say Old Town, Alexandria, Virginia as much as anything does. Millwork Fabricated by The Color Alchemist. John Learnard, of Color Alchemist, is a Member of the Guild of Building Artisans. That’s the neighborhood – – the dentils in place. This entry was posted in Millwork and tagged Washington DC. Bookmark the permalink.